I’ve been going to PDN’s PhotoPlus Expo show in NYC every year since 2007 to check out the latest and greatest gear. High on my list of priorities this year was to get a glimpse and hopefully try out Leica’s new SL (Typ 601), their new 24mp, full-frame mirrorless system camera. As I approached Leica’s booth, a little anticipation came over me. I don’t know why, maybe it’s the Leica name, mystique, “German Heritage” or what have you. I was a little worried that I, a mere peon, would be “snubbed” by the people representing this Camera Legend. I need not have worried. The Leica reps were among the nicest people at the show! Certainly a lot nicer than the Nikon rep I ran into, but I’ll leave it at that for Nikon. 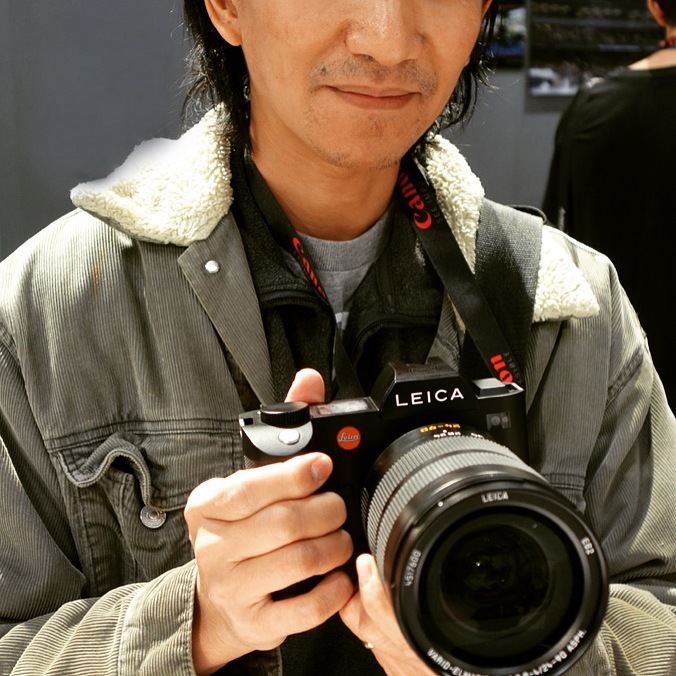 Anyway, I asked the Leica representative if I could try the SL and he handed the camera to me right away. I actually picked up one with a smaller Leica T lens on it, and he said, “Take this one better” as he handed me the SL and 24-90mm f/2.8-4 Elmarit, which is their full-frame setup. The camera, together with the zoom lens, felt very solid. It did look like a Sony A7 series, but was larger and felt much beefier. The materials used to cover the camera body felt very nice to the touch, grippy and comfortable. The design and controls are very minimalist, very Leica. There were some buttons which I’m not sure were labeled, which could be a problem in usage, and I’m not sure this was a pre-production model or not. If it is, I would hope they will have better labeling and indicators on their final production model cameras. The view in the EVF looked great. Just like the Sony A7 series, it was very sharp and easy to see. The AF was very fast and accurate on first impressions and easy test targets. If I had more time with it, I probably could’ve selected harder to focus subjects, but time was of the essence so I didn’t have that luxury. The Vario-Elmarit 24-90mm f/2.8-4 ASPH was huge. If was big and beefy. You have to wonder why in today’s world, a zoom lens of this range has to be so large and heavy. The zooming action was smooth and the lens focused very fast and accurately on the SL under the bright shows lights of the expo. As I understand it, this lens has built-in optical stabilization which is always a great thing to have. The Leica representative stated that this lens could do macro mode on both ends of the zoom range, which is quite unique and something you don’t see in many lenses. 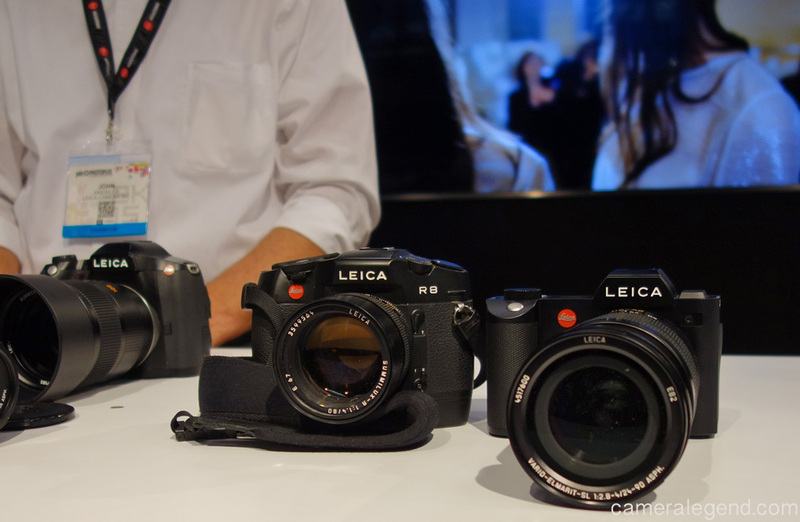 As a prime lens lover though, I did ask the Leica representative if they had any primes in the works for this camera. The camera is a beautiful monstrosity! Ugly, but beautiful at the same time. It feels great in the hand and the operations were smooth. I suspect most people will opt for the Sony option, which offers similar and even better spec’d cameras at much lower prices. Even though I didn’t ask the representatives outright, I do suspect that the SL and especially that 24-90mm Vario-Elmarit to be made by Panasonic. The lens is very reminiscent of the Vario-Elmarit 14-50mm f/2.8-3.5 ASPH which they released in 2006 as a kit lens for the 7.5mp Panasonic DMC-L1 and Leica Digilux 3 cameras which were 4/3’s system cameras. That was also a beefy lens. The look, the lettering, everything screams Panasonic. Nothing against Panasonic, they make awesome cameras. In fact, if Panasonic released a twin of the SL under their own name, I’d be inclined to try it! Leica has made their name as a premium brand, and they earned it. I totally understand that. But in today’s world, with SO many digital camera choices out there, I think they are doing themselves and their fans (myself included) a disservice by pricing themselves right out of the market. If you’ve got serious cash to spend, you can pre-order the Leica SL HERE and the matching Leica Vario-Elmarit-SL 24-90mm f/2.8-4 ASPH HERE. It’s slated to be released for sale November 20, 2015.